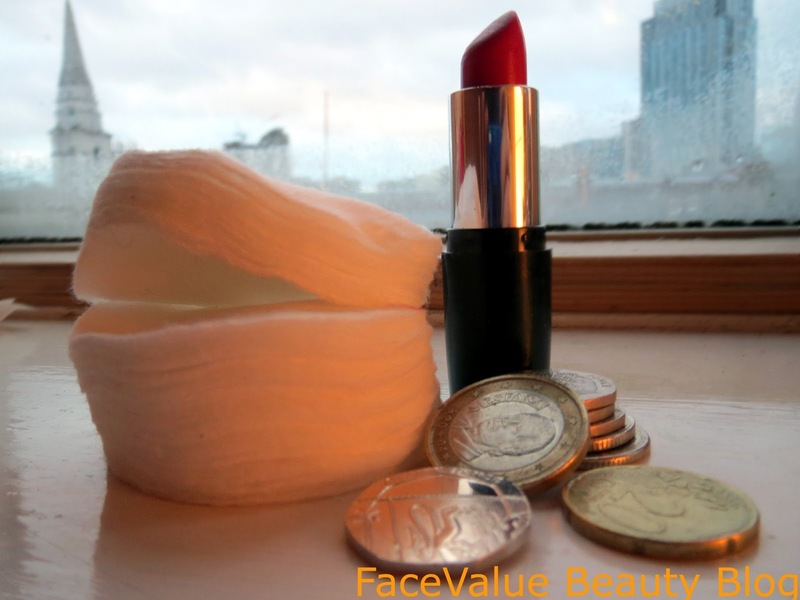 Saving Face: My Beauty Solutions To Help Save Your Spending! It’s MONEY MONDAY again – so here we go, some Value themed topics for my Face Value Friends to start the week in a fine and frugal manner. LA LAA! I’m cheating slightly, today’s blog is taken from something I wrote earlier in the year for Nikki at The Crafty Side of Sarcasm – an american blog about pretty much everything – please check it out, she’s lovely! So here it is – a FaceValue special – money saving tips with a beauty focus. If you’ve run out of eyeliner, or like me, dropped it on the floor and its rolled under the cupboard… NEVER FEAR! Just dampen an eyeliner brush (or any thin, flat brush) dip it in eyeshadow and line away! This also works for coloured eyeliner fans – no need to spend lots of money on that gorgeous turqouise eyeliner you’ll only use once. Just open that eyeshadow palette and finally start using those colours you never normally use! But if you’re short on pennies, there’s no need to splash out on serum – moisturise your hands with your favourite smelling moisturising cream and then pull your hands through your hair. This helps smooth any just-washed frizz and calms down the fluffiness. Olive Oil is an absolute god-send, the queen of multi-taskers. If I’ve run out of conditioner, lip balm, lip gloss, eye makeup remover or even body lotion- a dab of olive oil will do the trick! It’s a bit too heavy for my face as a general moisturiser but it’s perfect rubbed into dry elbows and knees! And all-natural with no naughty preservatives! Want a natural exfoliator? Look no further than a handful of sugar! Preferably the brown stuff as it dissolves slower when wet. Try mixing it with a drop of olive oil and buff it into wet lips for a quick and easy lip scrub! This is my favourite little Value tip. I don’t know about you but I go through at least FIVE pieces of cotton a day. How many do you use? I don’t really differentiate much between double-faced, large or quilted cotton pads- but it seems that’s all that Boots have stocked in the cosmetics section. Then get out of the Cosmetics section! Head to the Baby section– they do cotton wool pads and balls like Cosmetics but cheaper!! A pack of cosmetic cotton pads is 1.89 but the Basics range in the Baby section is only 1.39! Alternatively, layering a different coloured gloss will completely change the tone and also makes a matte lipstick shiny. Also dusting translucent powder on glossy, satin finish lipsticks will bring it down to matte! By jazzing up old favourites, the beauty of it is, you can stick to the textures you love and are used to! We’ve all been there when you were just paid last week and you’re already running low! I hope these tips help you in times of beauty need when your budget won’t allow it…..
What beautiful money-saving tips do you have? Previous Post No strings attached – just a pure, unadulterated GIVEAWAY. Next Post The Apocalips is here… the end of lipsticks as you know them? Great tips! Going to try the exfoliator one for just before valentines day! Thanks for the tips! I especially like the one about the sugar scrub!! Love the tips like usual. What is the best Lipstick in your opinion that stays on the longest? Some great tips Zoe and it is nice to see people responding to questions. A nice change.